Q: My husband, toddler, and I will be visiting Nashville this May. 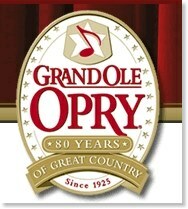 I’m a huge country music fan, but almost fell out of my chair when I checked out tickets for the Grand Ole Opry. Do you know of any other ways to experience Nashville’s music for less? A: Nashville has lots of fun, free places to visit. Following are some great, authentic alternatives to the Grand Old Opry for Nashville visitors on a budget. We like to say that only tourists go to the Grand Old Opry. My friends Jim and Lynnette love the Grand Ole Opry. Here’s why they don’t mind spending $106 for 2 tickets to the Opry or the Ryman. But if you’re visiting Nashville on a budget, don’t worry. Yes, you can see authentic Nashville music for much less than the Opry! You can’t get more authentic than the songwriters and stars who play at the Bluebird Cafe in Green Hills. I love its casual, intimate roundtable setting. Here’s the scoop on getting tickets to the Bluebird — especially for the FREE early show! The Station Inn downtown also offers a free Bluegrass jam performance on Sunday nights after 8:30. You can find buy-one-get-one-free admission coupons to the Wildhorse Saloon downtown in the Entertainment Book. Take your photo in front of the Grand Ole Opry and keep walking till you reach Opry Mills Mall. There are always free performances on the entertainment stages inside the mall. The Opryland Hotel is just a hop, skip, and a jump away from the mall. It definitely deserves a visit! Across the street from the hotel are several classic Country music pubs — like the Nashville Palace and the Ernest Tubb Midnight Jamboree. Ms. Cheap of The Tennessean lists over 100 free things to do in the summer in Nashville, many of which are free concerts all over the city. There are lots of small, quaint places to see live music in Franklin and Nashville. For example, the Listening Room Cafe often has top-notch entertainment for free! If you’re flying into Nashville, be sure to check the Nashville Airport music schedule, because there’s always live music… and it’s always free! The Country Music Hall of Fame downtown is another great Nashville attraction. But with bare budget tickets at starting at $22 apiece, it’s not cheap. Here’s a printable coupon. Have your photo taken in the lobby or outside on the Music City Walk of Fame or nearby Nashville Music Garden. Browse the gift shop for high-quality souvenirs. Make the most of your ticket by scheduling your visit during a Masters Series taping. The Grand Ole Opry Plaza Parties are held outdoors on Saturdays during the summer.